I am a big fan of on-ear headphones, which attitude bucks the noise-cancellation trend. The design is a nice compromise between over-ear and open-back styles—the latter of which can present the best soundstage. Cans that rest on the ears, rather than cover them, tend to be lighter and confer airier, more natural sound. However, they also leak noise both ways, which makes them less appealing for commuter trains or air travel. Since I reviewed MW60 Wireless last week, I simply must point out that Master & Dynamic launched MW50 on-ear Bluetooth headphones today. Yes, I plan to review them in the near future. The company says the Fifty is one-third lighter than the Sixty, while adhering to the same, retro-design ethic and modern materials—aluminum, lambskin, leather, and stainless steel. Assuming the cans keep to the same sound signature as the MH40 and MW60, expect the new headphones to be more balanced than bassy—something I can assess better during the review process. If bass is your thing, perhaps something from Beats or Sony would be better choice. If you must have active-noise cancellation, look elsewhere, too. The technology uses microphone(s) to nullify background sounds. I personally find the listening experience to be unnatural, and on some headphones I can hear an audible tone, or hum. The MW60 use passive noise-cancellation, by covering the ear with a soft seal. On-ear cans like the MW50 do not. 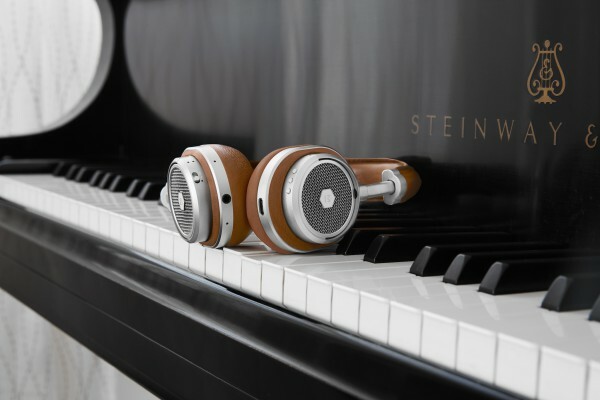 M&D's new wireless headphones retail for $449, and they are available in two, two-color styles: Silver metal and black leather; silver metal and brown leather. MW50 are available for purchase starting today. Photo courtesy of Master & Dynamic.